Discover the history of one of the world's most influential civilizations. Based on the Cyrus Tang Hall of China exhibit at The Field Museum, China: A History traces the 7,000-year story of this diverse land. Full-color maps, photos, and illustrations of the people, landscape, artifacts, and rare objects bring the history of this nation to life! Young readers learn about prehistoric China, follow the reign of emperors and dynasties, and come to understand how China became the world power that it is today. 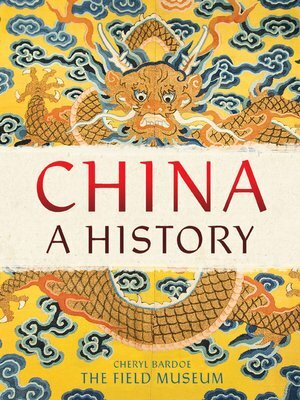 The book also explores the role of children and women in everyday life as well as how religion, politics, and economics shaped the deep traditions and dynamic changes of modern China. This book stands alone from the exhibition and is a go-to resource for young readers looking to learn more about this powerful nation. It includes a timeline, bibliography, and index. Cheryl Bardoe is a former senior project manager of exhibitions at The Field Museum in Chicago. She is the author of Gregor Mendel and Mammoths and Mastodons and lives in Wallingford, Connecticut. Visit her website at cherylbardoe.com.